Alvaro Bautista doesn’t believe he would be taking a big risk if he clinched a deal to partner Marco Melandri in Aprilia’s new factory MotoGP squad in 2015. Aprilia will be back in MotoGP next season after deciding to bring a new factory 1000cc project by forward by one year. And Spaniard Bautista, who has been frozen out of a factory Honda RC213V ride again after a frustrating 2014, is a leading candidate for an Aprilia ride. He has also been negotiating with Forward Yamaha and with his current Gresini squad about a production Honda RCV1000R ride for 2015. 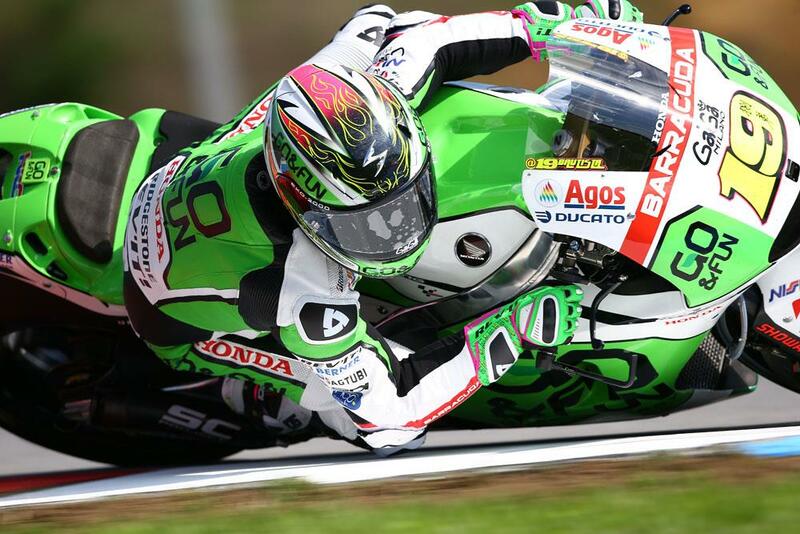 The Spanish-based Aspar team has also made Bautista its number one target to partner Nicky Hayden, but it is Aprilia that appears to have won the race for the former 125GP world champion’s signature. Aprilia boss Romano Albesiano admitted during a visit to last weekend’s Brno MotoGP round that next year will be a development season for the Noale brand, with results secondary to getting vital input and data for a completely new bike in 2016. So would it be a risk for Bautista to commit to what is essentially going to be a high profile test team competing in world championship?